Random Exam Questions-Answers (REQA) is an Unique Venture from IORG. These consists of ACTUAL QUESTIONS ASKED BY EXAMINERS TO STUDENTS. Ortho-REQA has its own Editorial Board, which compiles these question, checks for correct answers and look over the working of the section. DR Satyam Patel M.S Ortho. There are 4 more positions on the Ortho-REQA editorial Board. These positions are for a duration of 2 years after which the name will be included in the advisory Board of Ortho-REQA. Interested Orthopedic Surgeons can send their application to us at indian.ortho@gmail.com. 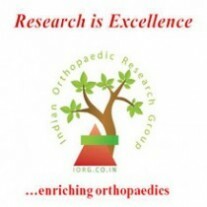 1.This will help in getting an experience in holding an academic post in the largest online Orthopaedic Community. 2.Working with REQA will add an academic Post to your CV (Editorial Board Member, Ortho-REQA) and also provides you an oppurtunity to work with a wide network of Orthopods. 4.An Online Certificate from IORG stating that you are a Member of the Editorial Board of Ortho-REQA. Members who wish to submit a question can send us the question by email to indian.ortho@gmail.com. All contributors will be acknowledged and their names will be added in brackets after the Answer.